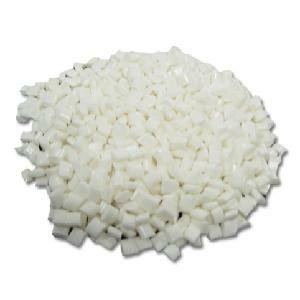 Hot Melt Adhesive including: Pressure Sensitive, Metallocene and PUR. What is Hot Melt Adhesive? Automotive Assembly, Bookbinding, Case, Tray & Carton Sealing, Container Labeling, Insect Trap & Rodent Trap, Laminating, Non-Wovens, Packaging, Padding, Paper Converting, Product Assembly, Tape & Labels & Woodworking. Our Hot Melts can be Custom Formulated to be: Permanent, Removable, Pressure Sensitive, Repositionable, Clear or Light in Color, Non-Staining, Fast or Slow Setting, Outdoor Weather Stabilized, UV light detectable, Fire Retardant. Our Bulk Hot Melt adhesives are used for many Automated High Speed Production Lines and High Volume adhesive bonding processes. UL Approved Hot Melts: UL # MH28876. UL approved adhesives for Insulation and HVAC applications. # 9761. Automotive Grade Assembly Hot Melts formulated to meet requirements of General Motors GM Specification 998 5676. # 9195. Heat Seal Lidding Hot Melts – Extrusion/Co-Extrusion/Gravure/Slot Die- FDA Direct – HIPS, PET, PVC, PETG, OPET, CPET, Foils. # 8159. Cap Liner Hot Melts – for Induction Seal and Torque Seal Cap Liners. Hot Melts with UV / Black Light Indictor added. # 8403UV. Polyester Hot Melt Adhesives for Dry Cleaning and Chemical Resistance. # 8599. Pressure Sensitive Adhesive Sheets for packaging, promotional media, POP displays, shipping labels. Our Heat Seal Hot Melts and Pressure Sensitive Hot Melts can be Coated onto most materials. We have the capability to Coat our Hot Melt Adhesives onto many different substrates including – felts, films, liners, magnet, papers, plastics, and textiles; for various medical and industrial applications. Our Strength and Focus is in Custom hot melt adhesive coatings. If you require a product to be coated with a heat seal hot melt or pressure sensitive hot melt adhesive; We may have it in stock; Otherwise, you can Send us your substrate and we will Coat it with one of our Heat Seal or Pressure Sensitive Hot Melts for you. We can supply our Heat Seal Hot Melts and Pressure Sensitive Hot Melt Adhesive in Rollstock Form. Hot Melt Heat Seal and Heat re-activated hot melts. Hot Melt Pressure Sensitive in Rollstock form. Acrylic Hot Melt Adhesives in Rollstock form. Face Stocks and Liners evaluation and selection. Custom Formulated Hot Melt Adhesives Coated onto your substrate. Rollstock Products for the Label and Forms Industries. Heat Seal Hot Melt Tin-Tie Tape for Coffee Bag applications. Package Reclosure Systems – Designed with Pressure Sensitive Adhesive. Heat Seal Transfer Tapes and Pressure Sensitive Hot Melt tapes. Heat Seal Tapes and Acrylic Pressure Sensitive Tapes. * Our Bulk Hot Melt Product Forms Include: Pellets, Mini-Chips, Chips, Pillows, Chubs and Menasha trays. * Hot Melt Product Packaging Options: 25lb, 35lb & 50lb boxes, Fiber Drums and Bulk Corrugated Boxes.